In cooperation with Daniel Wangen. 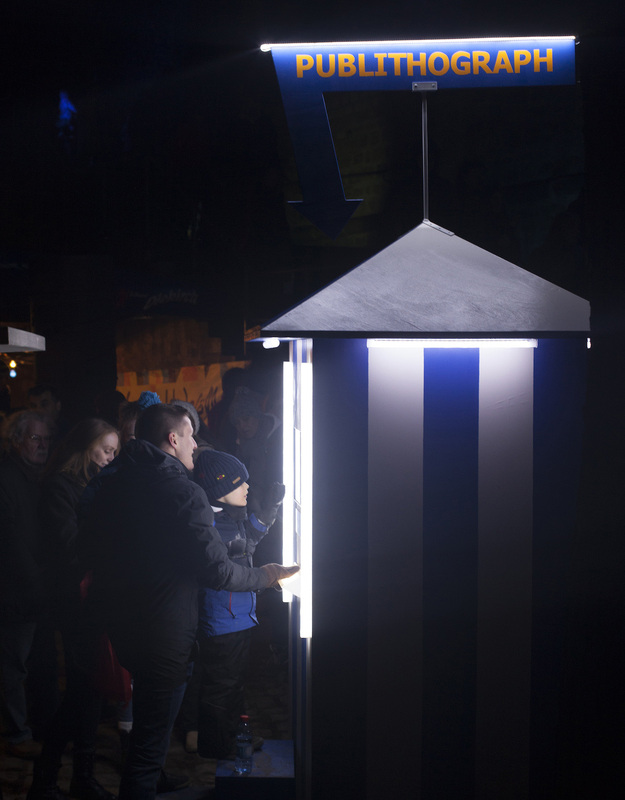 Next to the historic city wall of Chemin De La Corniche in Luxembourg is a photobooth, where visitors of the Luxembourg Light Festival can record a short video-selfie. Each video loop is added in realtime to the composition of loops that is being projected onto the historic wall. The projection uses the wall not as a neutral surface. Since every stone in the wall has a unique age, shape and size, the structure is used as a basis for the unique colour shapes in the projected video image. The result is that each stone in the wall seems to glow with color, and the video image on the wall emerges from the entirety of the coloured stones like a mosaic. The projection becomes site-specific to the Chemin De La Corniche. 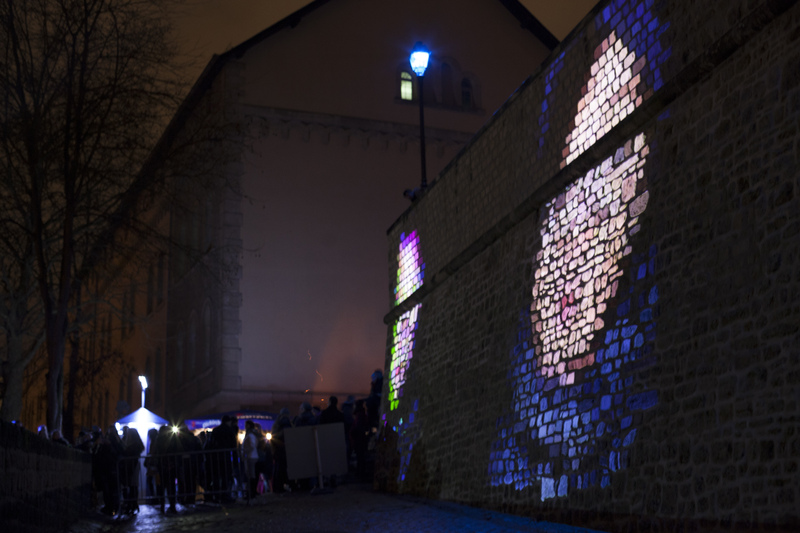 The video projection is staging the wall in a new way during the festival, but since the projection adapts to the stones' structure, the historic wall is not covered up by the video but still apparent and visually defining. The video composition of the visitors' selfies is constantly and generatively recomposed from all recorded videoloops during the presentation. The illuminated wall is a very rewarding experience for visitors. Their recorded video selfies instantly and aesthetically adapt to the wall they know so well. 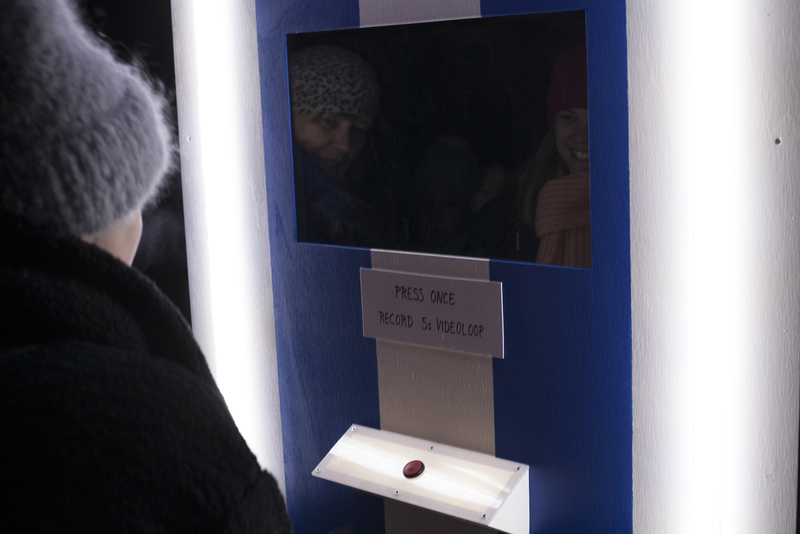 During three festival days, over 2000 visitors recorded a videoloop. Thanks to Prokop Bartoníček, Stefan Altenhofen, Winfried Kornberg.